Amycard 01C – Acquisition and Mapping Units. 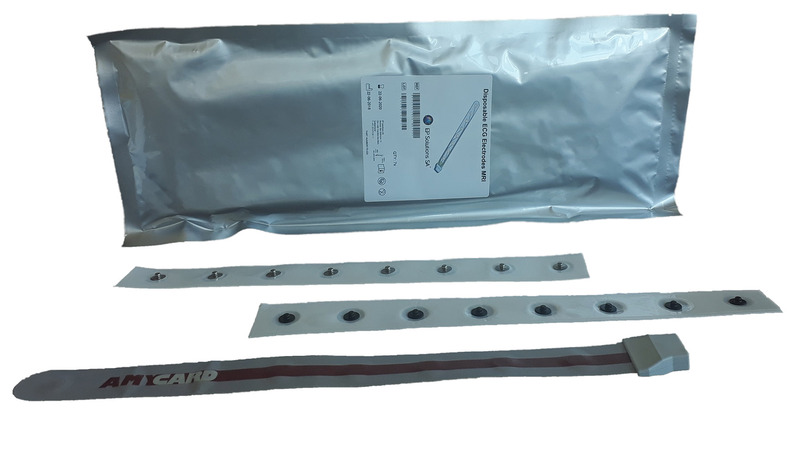 Amycard 01C delivers pre-operative, monitoring and follow-up informations usefull to support diagnosis of complex hearth rhythm distrurbances. Detailed topical and electrophysiological diagnosis support intends to help in the optimization of therapy and to reduce intra-operative time and we are making efforts to demonstrate this positive impact. Risk of complications, fluoroscopy time and accordingly patient and personnel radiation exposures could be improved. Efforts are being made to bring the necessary evidence. 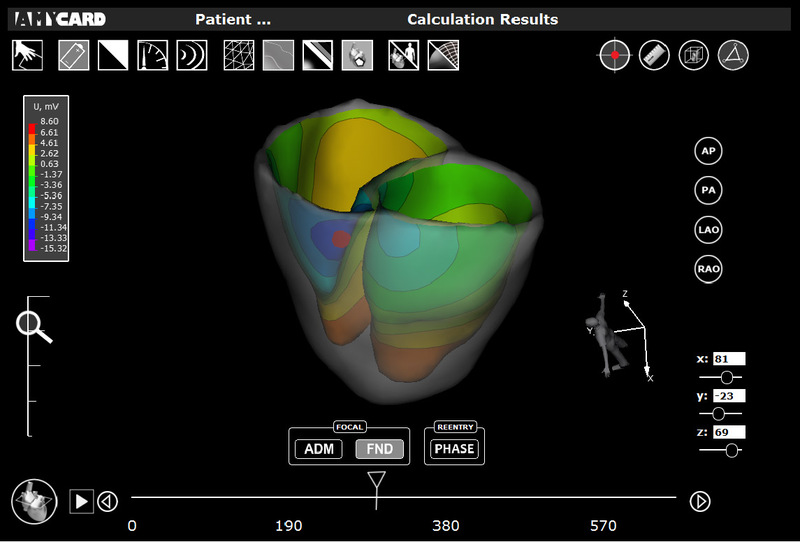 Optimization of cardiac resynchronization therapy is another area of possible benefits aiming to improve immediate as well as long-term results of therapeutic intervention. Excerpt of Processing and Visualization Unit Interface. Amplifier and Mapping Unit intended for simultaneous 224 channels ECG recording, processing and storage. Processing and Visualization Unit intended for processing tomographic data and ECG body surface data for computing electrocardiographic maps. After tomographic data and ECG signals have been acquired, they are transferred to the Processing and Visualization Unit. 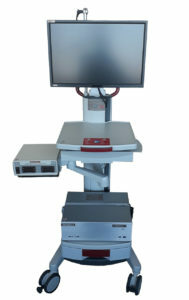 The Processing and Visualization Unit allows segmentation of tomographic data, selection of heart beats to be processed and computation of the selected electrocardiographic map.